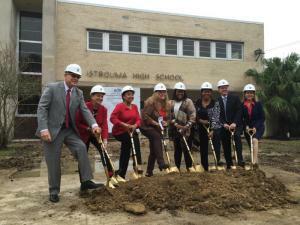 Lincoln Builders broke ground December 14 on the renovation of historic Istrouma High School in Baton Rouge, Louisiana. The $21 million project will include renovations to the old buildings, as well as more than 11,000 square feet of new space. Istrouma High first opened in 1917 and moved to its current location off Winbourne in 1950. 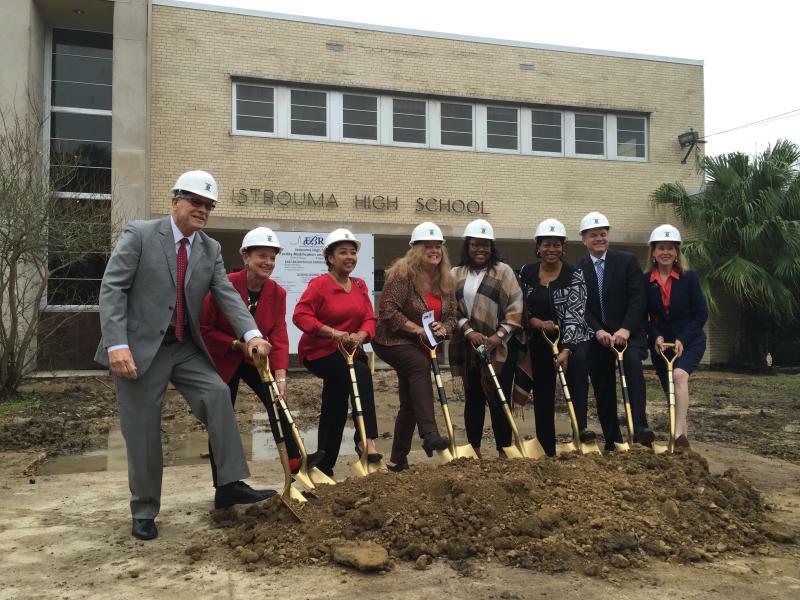 “Istrouma will celebrate 100 years when it reopens in the Fall of 2017 with a wide range of college preparatory and workforce development programs for students,” the East Baton Rouge School System wrote in a news release about Wednesday's groundbreaking. The school is expected to be able to accommodate 1,200 students and will include a media and health center. Phase one is expected to be complete by August of 2017. Pictured at the right are East Baton Rouge School Superintendent Warren Drake (left) with school board members.